Eid Mubarak 2017: Did You Know Why the Eid Ul Fitr is Also Called ‘Meethi Eid’? Eid Mubarak 2017: The holy month of Ramzan is about to end and it’s ushering in a wave of celebrations with Eid Ul Fitr just around the corner. This time, the focus is largely on sweet preparations giving the festival its name – Meethi Eid. But why is it called so? The month-long Iftar feasting is studded with rich, meaty delicacies. But the final day is all about starting anew, on a sweet note. 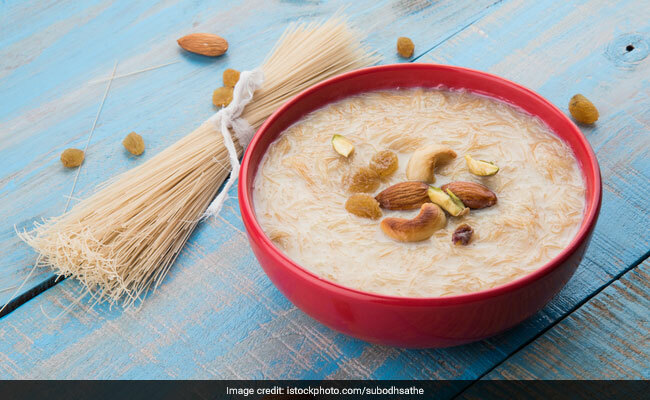 “Throughout the holy month of fasting, the evening meal is usually very rich and meat dominated, once the Ramzan is closed, the following day is celebrated as Eid by eating something sweet the first thing in the morning. It also signifies starting your routine on a sweet note after a month of abstinence and praying,” shared Chef Osama Jalali, Masala Trail. The star delicacies without which Meethi Eid celebrations would be incomplete are Qeemami Sevai and Sheer Korma. Meethi Eid – Eid Ul Fitr – is expected to be celebrated this Monday, 26th June and might also shift to Tuesday, 27th June depending on the Moon sighting on Sunday.